(Updated 5:20 p.m.) As Tysons grows, it’s sucking up a lot of juice. 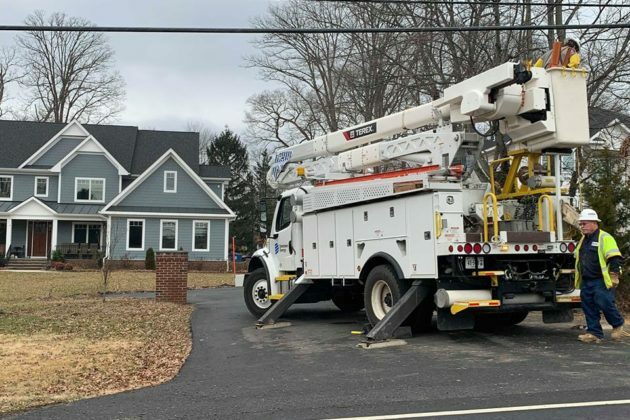 According to Dominion Energy, by 2022 the existing load on power lines from the Tysons and McLean areas is expected to exceed 300 megawatts, which means the energy provider needs to build an additional power source to avoid violating mandatory standards. 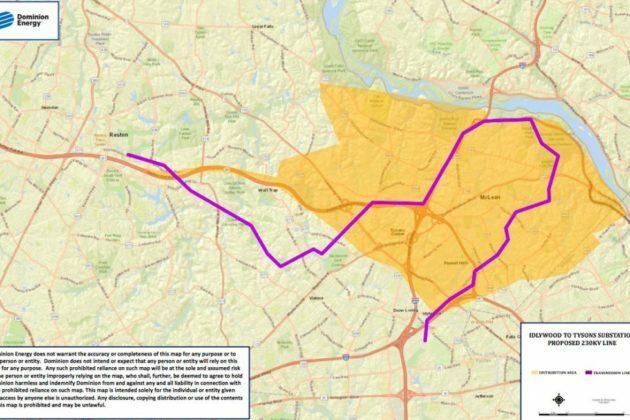 The Idylwood-Tysons 230 kilovolt (kV) Project would add a new 4.3 mile transmission line underground, right through the heart of Tysons. The project was approved by the State Corporation Commission in September. Now, Dominion spokesman Charles Penn said the company is engaged in the engineering phase. Penn said an open house for the project is planned for sometime this summer. Construction on the project is tentatively scheduled for this fall, with completion planned sometime in 2022.